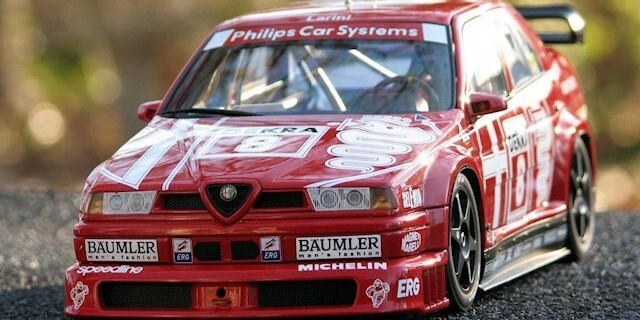 When one thinks of Italian racing cars most will first think of Ferrari but in truth no Italian manufacturer has had more success in more different aspects of motor racing than Alfa Romeo. 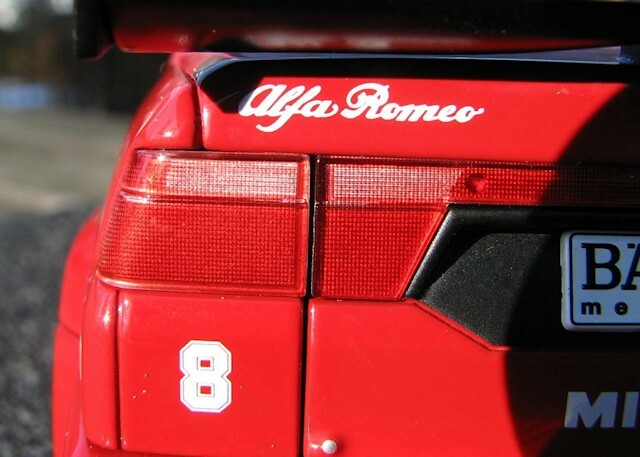 The first of the racing Alfa hit the track in 1911, their first victory was in 1913 and Alfa Romeos have been racing, and winning, ever since. 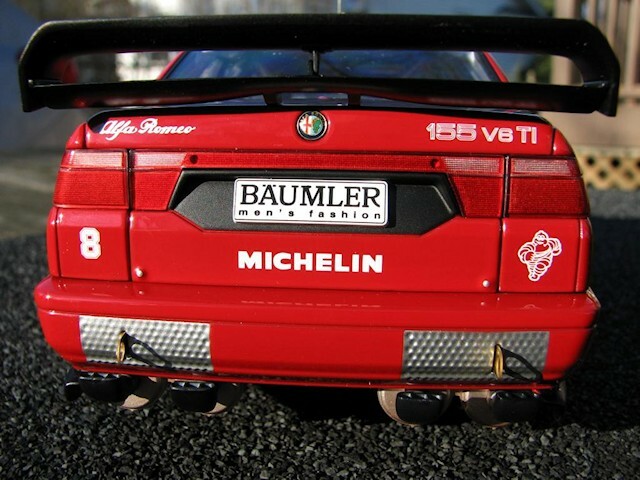 Among the different types of racing, Alfa Romeo had great success with small displacement Touring Cars with their GTA and GTAm models winning both European Touring Car Championships and the under two liter division of the inaugural US Trans Am championship. 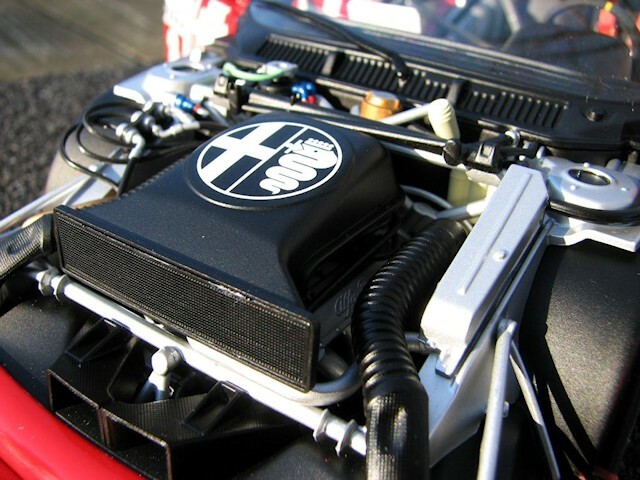 Victories continued through the 70’s and 80’s with cars like the Alfetta GTV6 leading the way. 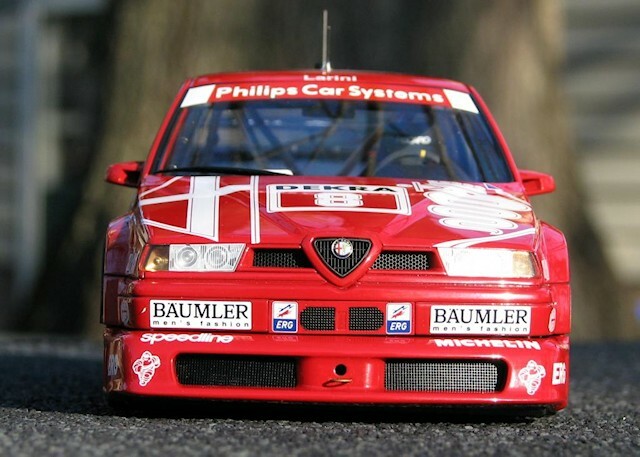 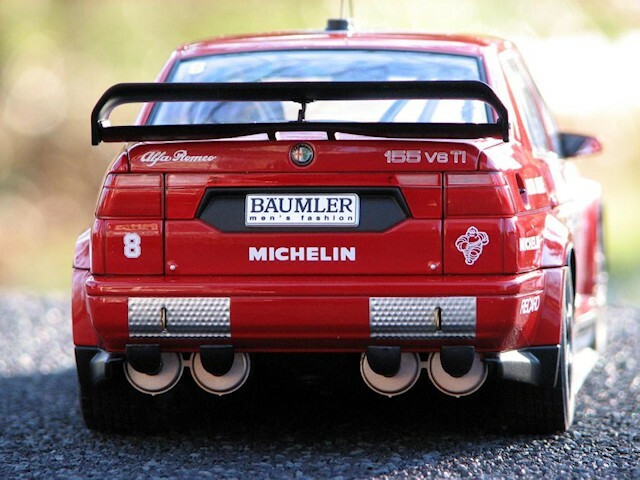 Continuing in that line the Alfa Romeo 155 V6 Ti was launched in 1993 and immediately dominated the DTM series with driver Nicola Larini winning 11 of the 22 races. 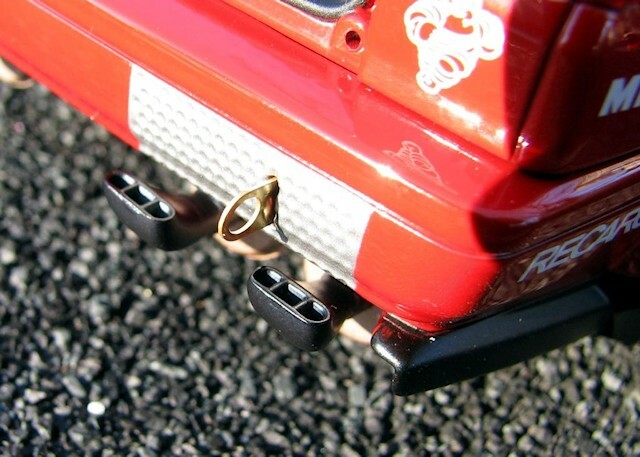 With a 2.5 liter V-6 engine capable of making 420 horsepower, the 2,400 pound, all wheel drive, sedan was a rocket on rails. 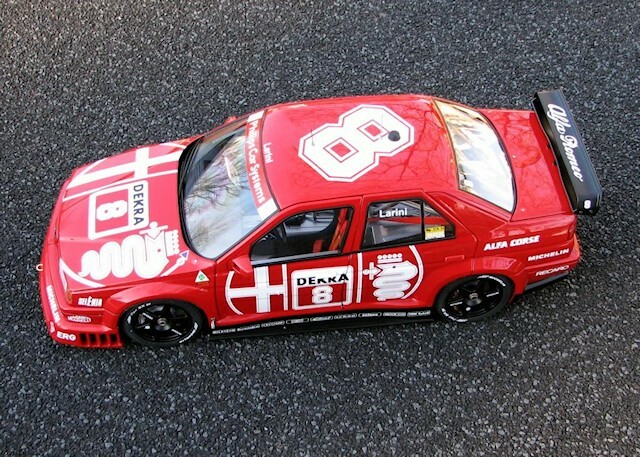 AUTOart has chosen to make the 1993 DTM series champion car of Nicola Larini and it is an attention getter. 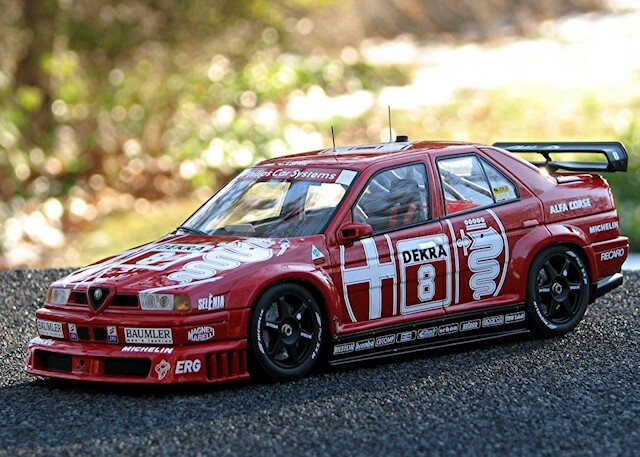 Alfa kept the real car fairly simple – red body and white livery and logos and AUTOart has done a nice job giving us a clean paint job and crisp graphics. 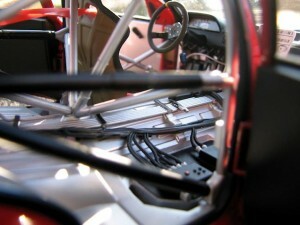 Add tight even shutlines and you have the beginnings of a very nice model indeed. The front and rear body panels come off and all the doors open, which is a good thing because there is some nice detail to see under the skin. 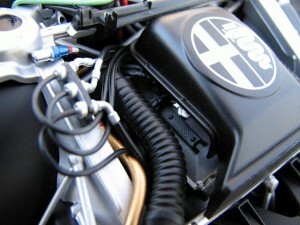 The engine compartment is dominated by the intake shroud but at least you get a nicely done Alfa logo on it. 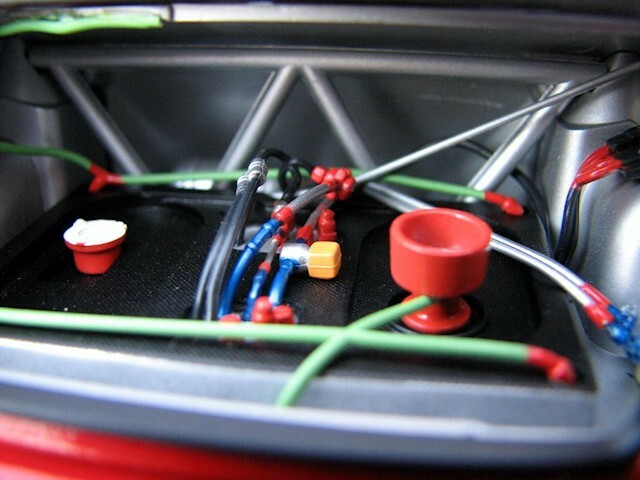 There is still a lot of wiring and plumbing running around that making for a pretty satisfying view. 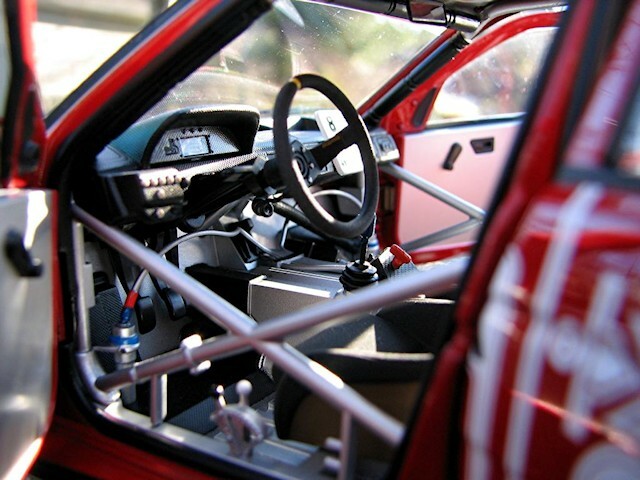 Inside is a classic ‘no frills’ racing interior dominated by the drive tunnel for the AWD system and the extensive roll cage work. 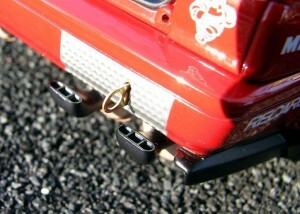 The trunk is nicely detailed as well. 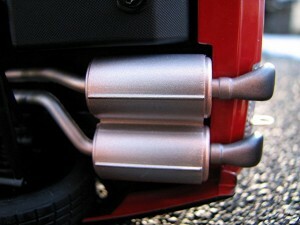 Like most cars these days there is not much to see on the bottom but I like the massive exhaust system. 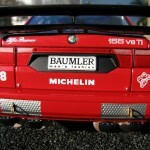 Details abound including excellent glass, lights & badging. 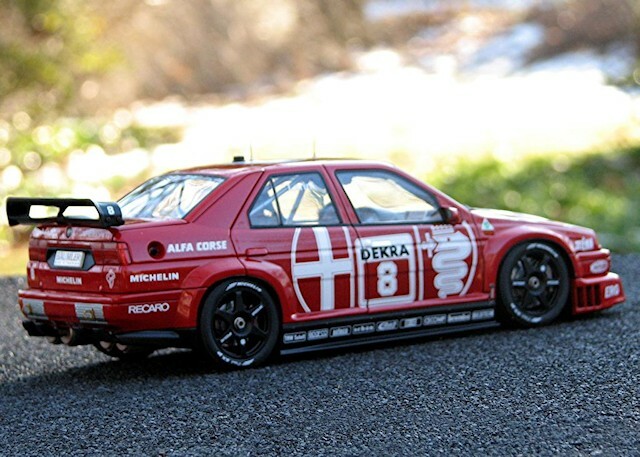 All in all this is an excellent model and about as good a racing sedan model as I’ve seen. 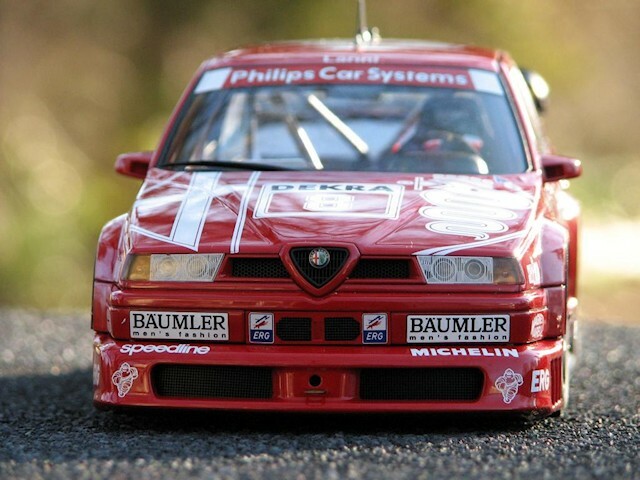 I have to admit that I am no expert when it comes to sedan racers or Alfa Romeo in general but one thing I have always loved is the look and style of Alfa Romeos. 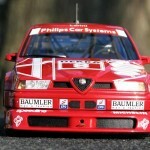 That may be why of the four Sedan Racers that I already own two are Alfas. 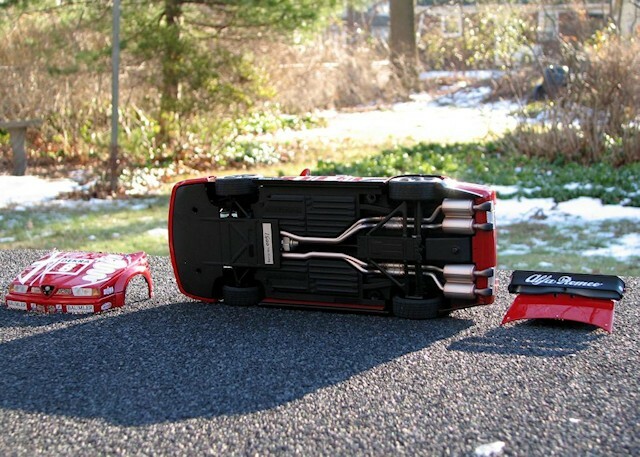 The car is pricey compared to the sealed HPI model but if I have a choice between a real diecast car and a ‘curbside’ resin model I’m going metal. 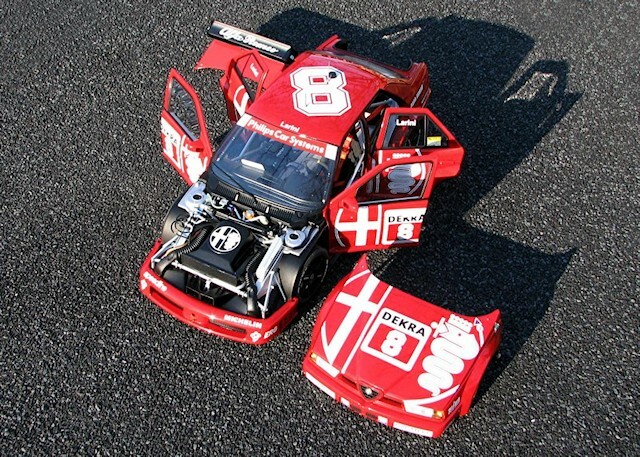 There also seems to be a number of differences in stance, body shape and even the sizes of different parts between the HPI & AUTOart models – more than can be explained away by saying they were from different races. 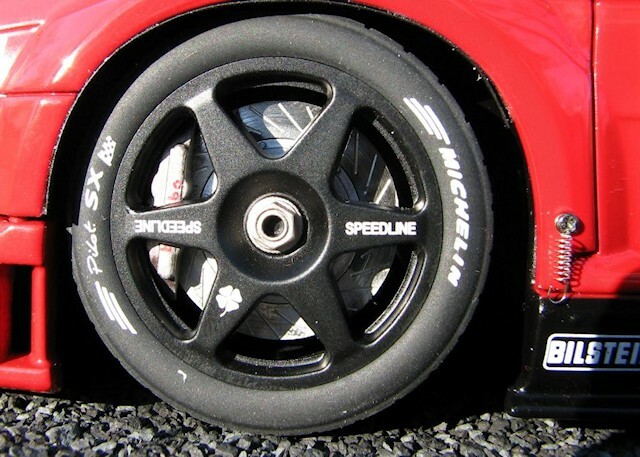 We all know that AUTOart is not perfect – just check out the tires on the XKE model – but they have been very good at getting the the ‘look’ of the car correct and I’d be inclined to side with them until proven otherwise. 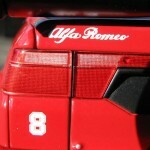 In any case, we have more Alfas and that is a good thing!